Arrive at the venue in Sutter’s Creek. Wipe sleep out of eyes. Late night was a late one, tracking down the wedding gown. Unload the last of the decorations. Haul food and drinks uphill to the kitchen. Set up the guest book table, next to gift table. Assemble wedding party for pictures. He sees her in The Dress and grins. She blushes at his reaction. Short drive into town for photos. Run in with Doc Holiday and Wyatt Earp in an alleyway. Fast drive back to the venue for wedding ceremony. Line up like they rehearsed. Broken bread and a covenant in wine. Prayers to the One that brought them together. Assemble the family and bridal party for more pictures. Get to the reception in time for a few quick bites. She picks up a ukulele, surprises her man with a serenade. Mom and uncles bring on the bluegrass. Tender toasts with bright hopes for the future. Top layer slides off that cake. The couple’s first dance is one of those rare escapes for the bride and groom in the midst of their wedding ceremony. The dance floor becomes a rare and great gulf between the couple and the guests who’ve come to celebrate. The bride and groom are alone together for what might be the first time all day. That bit of solitude offers close quarters to laugh together at the unexpected bits of the day. To remark at the other’s appearance. To hold each other in time with music, keeping the other from falling asleep with the exhaustion of weeks or months of wedding day preparations. That’s the moment you see in this photo of Justine and Joel’s wedding day. Giddy bridesmaids run out on the floor for their own dance. Jaw muscles continue to ache. It’s a sweet ache though. If you’re married, what are your memories of your first dance at the wedding? Spill the details in the comments section below. 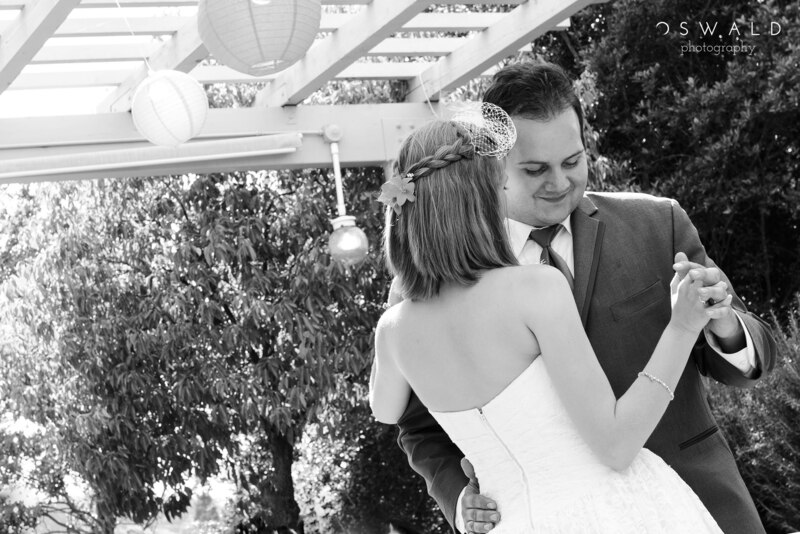 And if you need a wedding photographer, I’d love to chat about shooting your wedding.